Lombok Island is one of the islands in West Nusa Tenggara Province. On Lombok Island, there are three small islands (Gili) namely; Trawangan, Air, and Meno. Gili Trawangan is the most crowded island and many tourists visit. To get to Gili Trawangan can be done by boat. From the port of Bangsal. 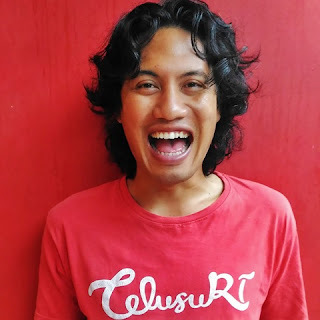 By buying a ticket of IDR 15,000.00, we can go to Gili Trawangan by boat. The ship will serve passengers every 15-30 minutes with the destination of Gili Trawangan, Air, and Meno. Map of Gili ini Lombok. The trip to Gili Trawangan is around 30 minutes. Arriving on Gili Trawangan I immediately headed to the inn. The next trip is Meno Wall Point. 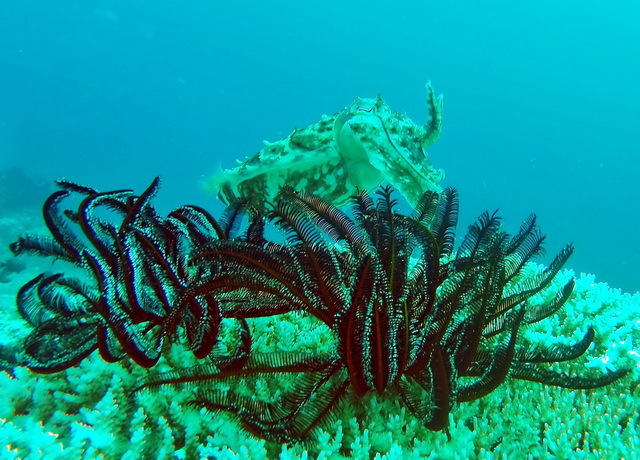 Meno Wall Point is a dive area near Gili Meno. It takes about 20 minutes by boat. 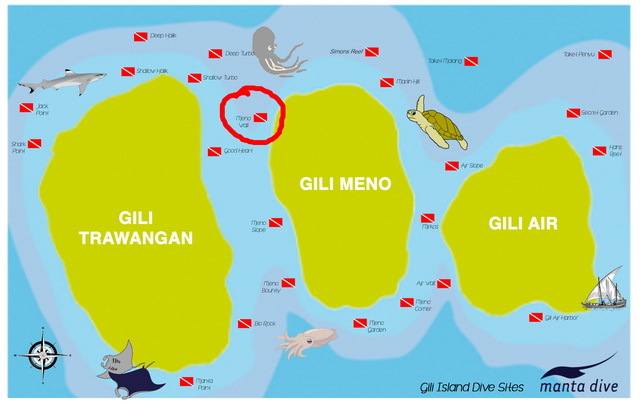 The diving point is near Gili Meno. This dive was accompanied by a local dive master and dive guide. Hard coral in Meno Wall point. Diving is done at depths of 4 - 8 meters. 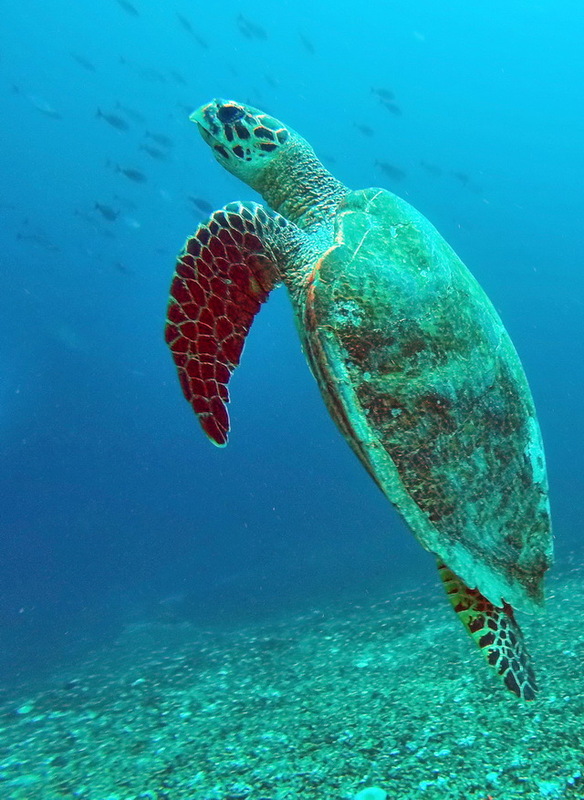 Coral reefs cover the ocean floor. 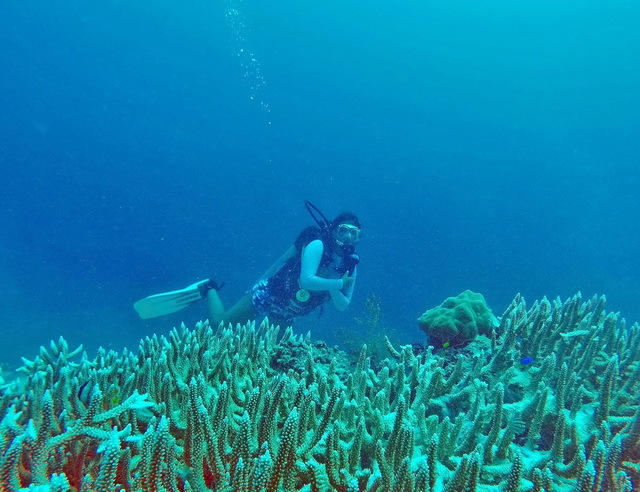 Soft corals and hard corals have many types and colors. Reef fish are seen hiding behind the reef. I continued to do the security to a depth of 24 m. At the base of the Meno Wall, a high wall is decorated with beautiful corals. Reef fish looks very close. It seems they are used to divers. I also found a group of small fish being schooled. I found turtles, pufferfish, and octopus. The fish here are very familiar with divers. They show off their action in front of divers. Octopus behind the soft coral. This is one of the terraces of paradise in Indonesia. You can come by plane and land at Lombok International Airport then head to Bangsal port and welcome to Gili Trawangan. 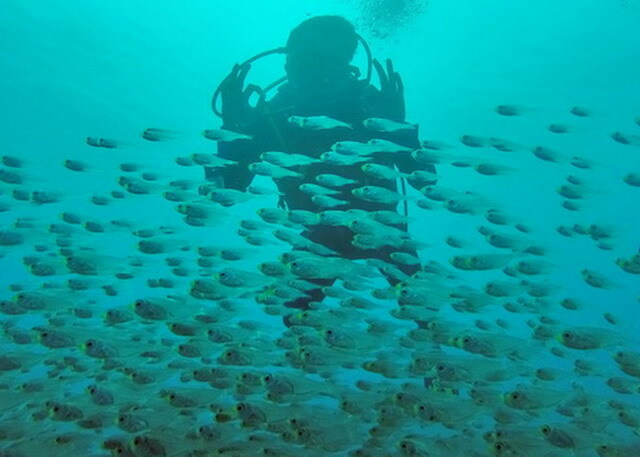 The underwater paradise of Lombok awaits you.